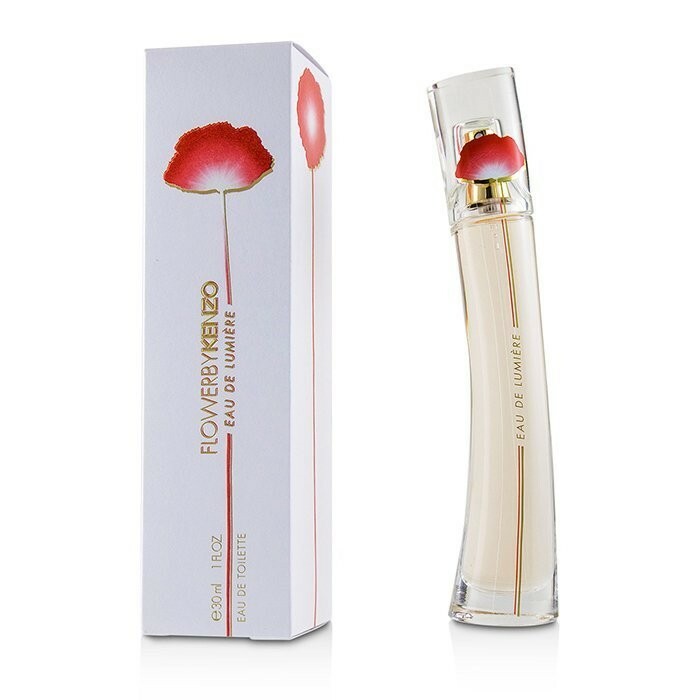 In March 2017, the house of Kenzo under the license of LVMH launches Flower by Kenzo Lumière, a new variant of the Flower by Kenzo fragrance from 2000. The new fragrance in Eau de Toilette concentration aims to recreate the scent of light. Light, energy and the iconic poppy flower serve as the principal symbols of this release. The composition of Flower by Kenzo Eau de Lumière is "radiant" and fresh floral. The citrusy character of Calabrian bergamot in the top of the composition makes an introduction to the floral heart of Bulgarian rose and delicate jasmine. White musk covers the base "like a scented veil of light."